THE Buchan and Gelantipy Race Club ... nestled some 365 kilometres east of Melbourne, plugged in its generator and welcomed a record crowd of 1200 folk to its cup day on Saturday. They came to an outback post, where the winner of the cup has to lick its lips to get the moisture to taste success, and walked away having watched Victoria's most successful horse this season, a new bush hero, continue a run that's the stuff of legends. 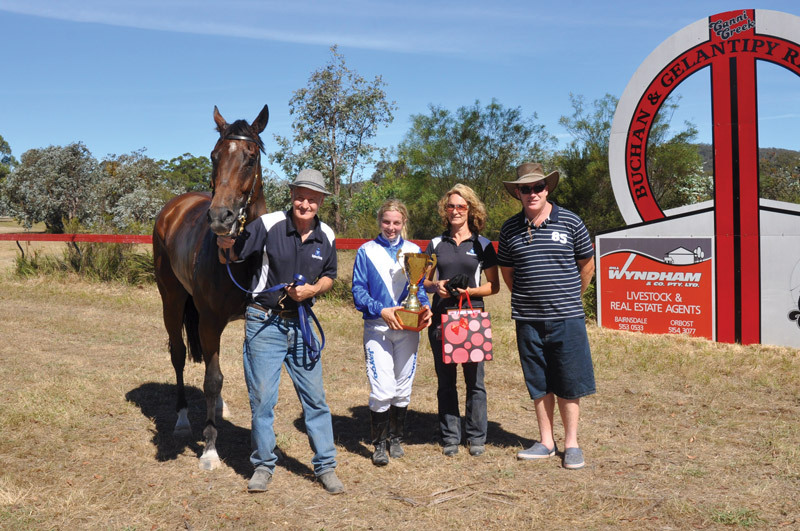 Trained by Kim and Gayle Mayberry of Pakenham and ridden by Gayle's daughter - Kim's stepdaughter - Stephanie Doming, five-year-old gelding King Can Sing made it seven wins for the season when he strolled home, as top-weight, in the Buchan Cup. He lumbered a tree-trunk, a whopping 72 kilos to victory, won by six lengths, hard held, and ran 0.1 second slower than the 1700-metre track-record. He could have smashed the record if Doming hadn't been so protective on a track that bordered on flint. "We just brought a picnic horse to have a bit of fun with, we never expected this to happen," Gayle Mayberry said. "We thought he was a bit vulnerable on Saturday, to be honest. "He had an eight-day break in the· paddock and we weren't sure ifhe'd be fit enough to. run the trip. "Steph got off and said it's the best he's ever felt, a horse that's been great for us is getting better." King Can Sing has almost certainly cemented himself as Picnic Horse of the Year, but it's the impact he's having away from the track that has most surprised Mayberry. "They (Buchan and Gelantipy) even used King Can Sing's appearance to promote the race on local radio, and they got a record crowd. "We're very lucky; no amount of money can buy the ride this horse has given us." 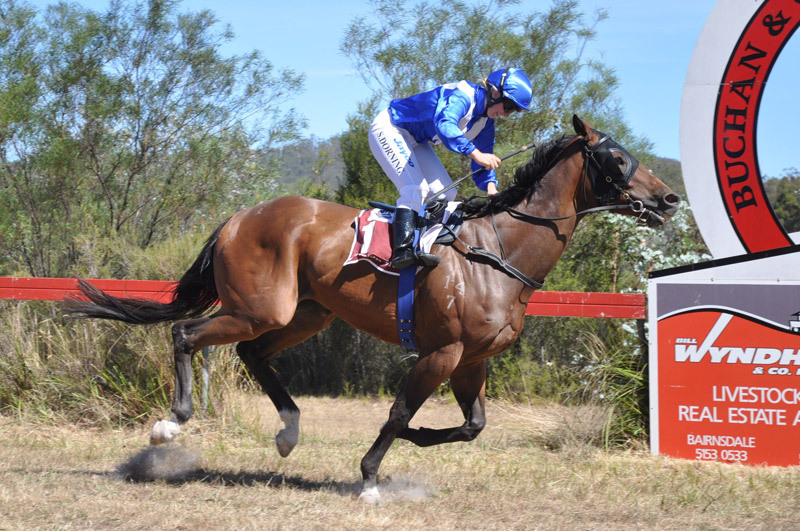 For now, King Can Sing will go back to the picnics, a possible test over 2100-metres at Yea this Saturday could be the forerunner to a step up to the professional ranks and a crack at the provincials. But the love of the horse is of most importance to Mayberry. "It's all very exciting but we have to remember where we've come from. The horses welfare will always come first. Remember, we only bought him to have fun at the picnics."